Plan an All-Inclusive meeting that excites and astonishes. From oceanfront venues to services like Cellphone Concierge, you'll find a range of options that are anything but ordinary. 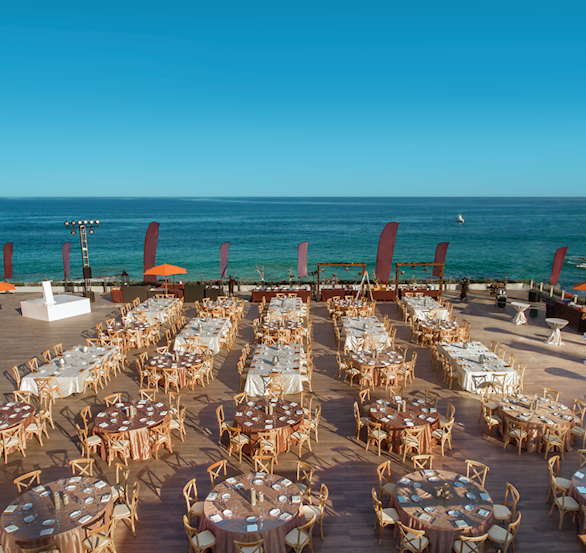 Reward your guests with sophisticated service in our expansive Cabo San Lucas convention center. 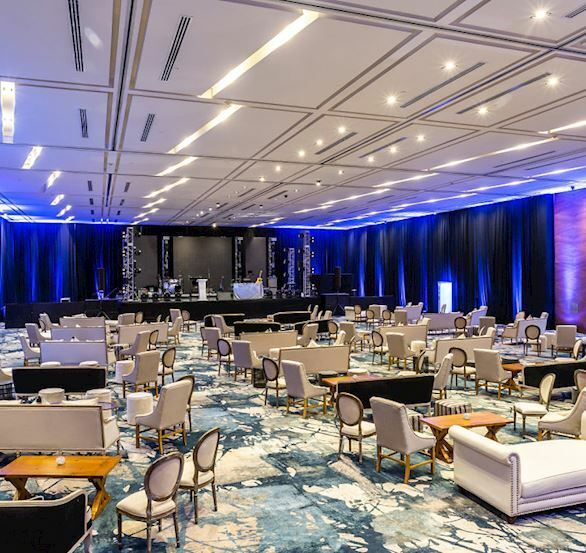 Over 16,370 square feet of space, two stunning ballrooms, the flexibility for up to 20 breakout rooms and a dramatic oceanfront terrace create unforgettable events for up to 1,700 guests. 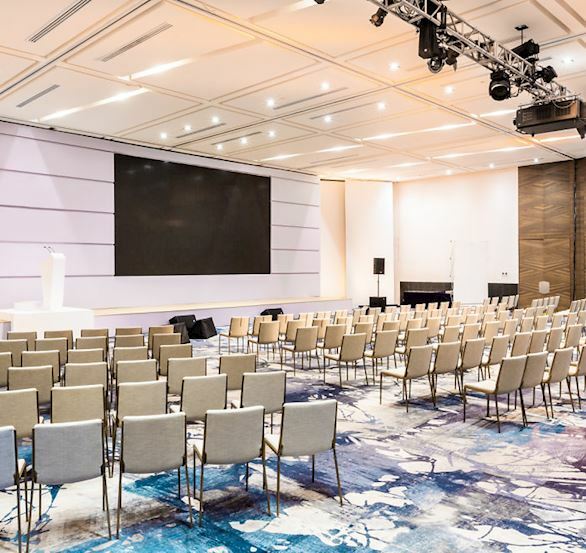 The latest audio-visual equipment, technical support, secretarial and translation services and a fully-equipped business center complement our expert corporate planning team, who will work with you every step of the way. .
Our clients all rave about their amazing experiences at the events we host at Grand Velas Los Cabos. 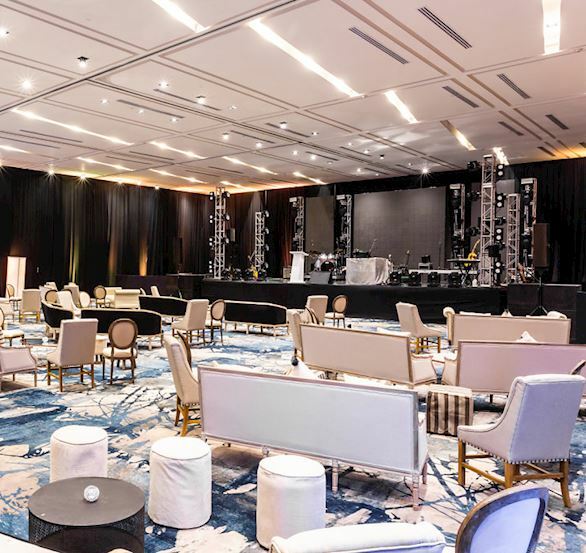 Opulent ballrooms, the largest outdoor, oceanfront terrace in the region and flexible floor plans make us the ideal destination for social and business events of every size. Expert planning, professional lighting, audio/visual services, business center, banquet and menu design, and special extras like our Cellphone Concierge, provide everything necessary for a successful event. Treat your guests to an unforgettable experience, where luxury and personalized service are standard. Our packages make it easy for you to customize the perfect event.